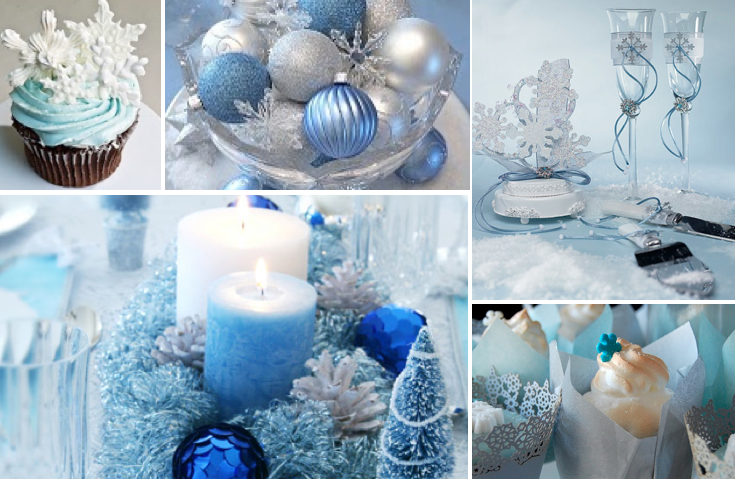 Are snowflakes and pinecones too “been there, done that” for your glamorous winter wedding? Good! You’re definitely not stuck with tired cold weather motifs just because you’re tying the knot when there’s still snow on the ground. Learn how to update traditional decor or plan for something completely unconventional and fabulous. 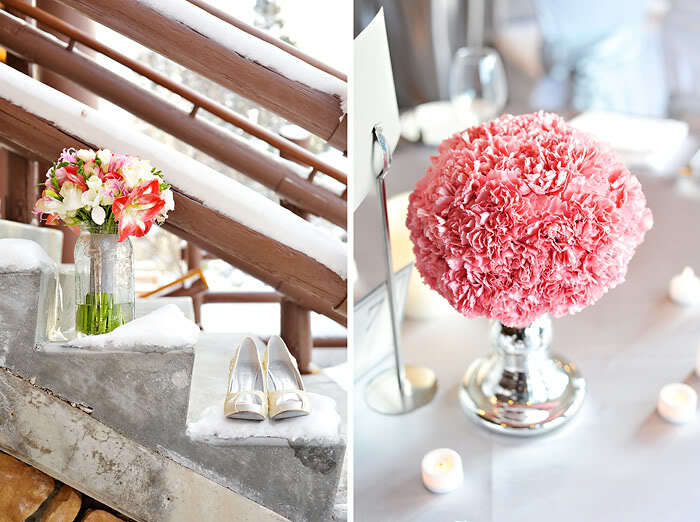 Not every winter wedding has a holiday-inspired theme, but if yours does, that’s no reason to go overboard with red and green. 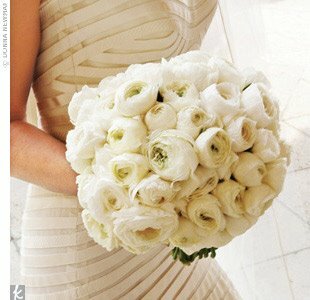 Less is more when it comes to wedding colors. Start with a base of silver and white, add crystal features and use color as an accent, not a scene-stealer. Sleeveless wedding gowns are popular year-round, but they’re just not practical throughout the whole year. You don’t have to turn down your dream dress just to stay warm, though. 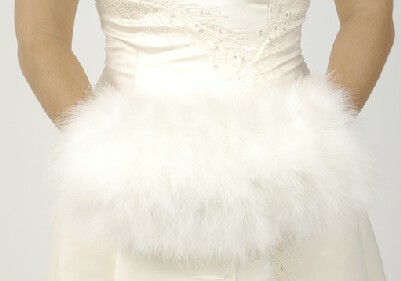 Instead, find a bridal cape or super feminine coat and keep your hands warm with a pretty muff. Don’t skip outerwear, whatever you do – blue skin doesn’t coordinate with a white gown! The most common winter flowers are red roses, white calla lilies and amaryllis. Deviate from the norm with fuller flowers, like hydrangeas and ranunculuses. 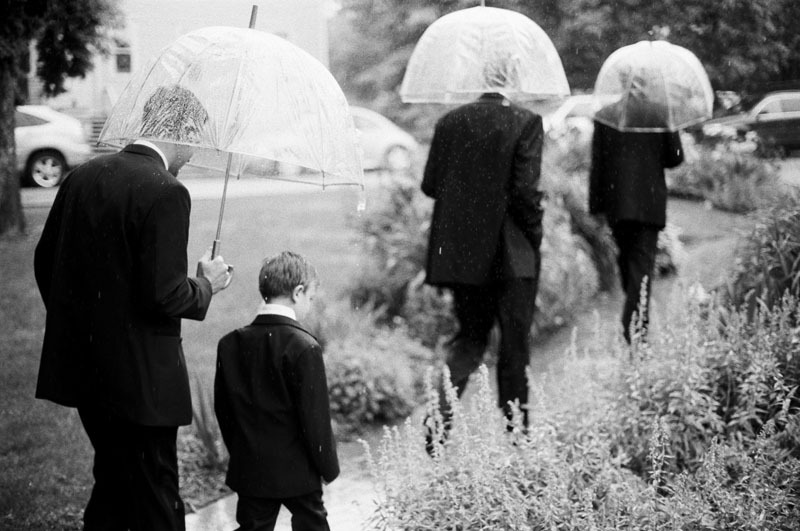 Accent the boys’ boutonnieres with white ribbon or natural greenery. Winter wedding invitations can be on the decidedly formal side because receptions are usually held indoors in a grand ballroom. Have a font that looks like hand calligraphy in eggplant, navy blue or chocolate brown printed on heavy card stock. Request that your guests dress in black tie and tuck the invitations into bright silver envelopes. To start, line each table with thick, rich linens and choose frosted glass china for the place settings. For the place cards, have a calligrapher handwrite each name with silver ink. Use ribbon to attach each card to an individual crystal. Glowing candles are pretty standard for wedding centerpieces, especially when you’re exchanging vows during a chilly month. Spruce up a boring table by adding tall vases with white branches as the centerpieces. Surround each vase with flickering votive candles. 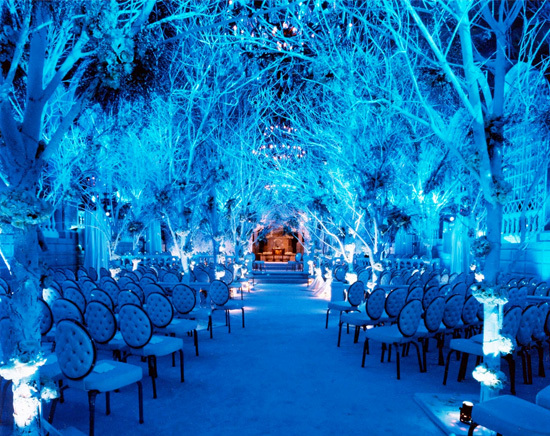 For a truly glamorous reception, hang crystals from the branches. Want an over-the-top centerpiece? 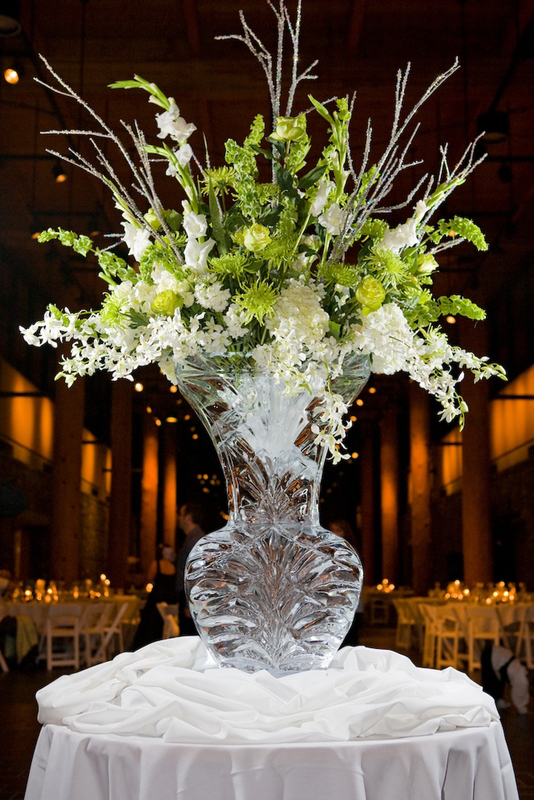 Order ice-carved vases and fill them with flowers. Coordinating music with your winter-themed wedding doesn’t mean simply asking the DJ to play a few holiday songs throughout the night. Have a classical pianist or cellist play during dinner for a thoroughly elegant evening. You can also hire an a cappella group to sing jazz and pop songs. Having live performers means you can request that they slow down or speed up certain songs. For example, if you love a fast-paced song for your first dance, a live singer can sing it slowly so that it’s suitable for a slow dance. Warm, comforting drinks are heaven sent when it’s blistering outside. Ask the bartenders to stock up on hot chocolate, white hot chocolate, warm apple cider and eggnog. For the kids, these drinks can be served straight; for the adults, they can be spiked with mint liqueur or rum. For a cute twist, have hot drink tastings served in espresso cups. Saketinis are another type of unique option for cocktail hour. They’re tasty and served cold but they’ll certainly warm guests up on the inside! These delicious cocktails are made with Japanese rice wine and flavored vodka. Ask the bartenders to rim martini classes with colored sugar crystals. 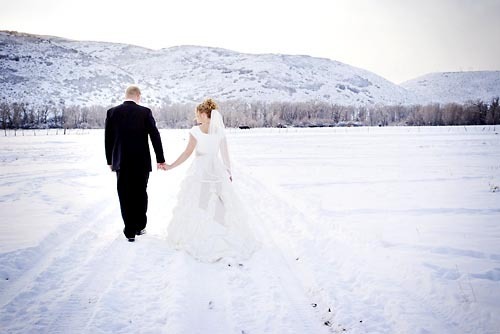 Most winter brides want their wedding cake trimmed with red, green or gold ribbon and topped with red roses. Shake it up a bit by asking that your baker create a white, vintage-looking cake. 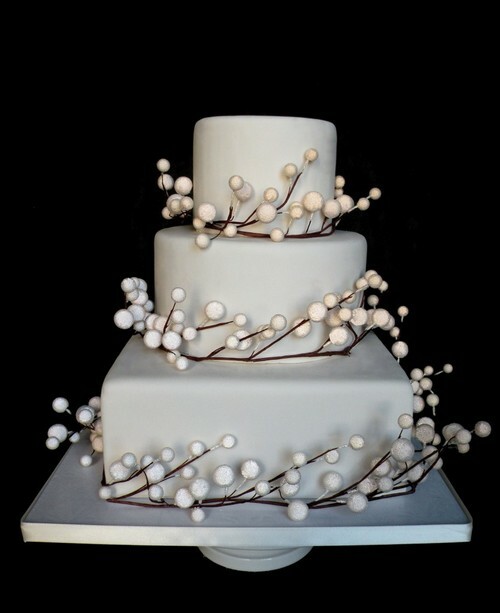 The cake can be lined with a white sugar ribbon, dusted with edible powder in silver and have cascading crystal drops down the side. Set up a dessert table with cinnamon churros, cookies, truffles, chocolate-covered cranberries and roasted chestnuts. Supply small packages so that guests can take treats home with them as wedding favors.